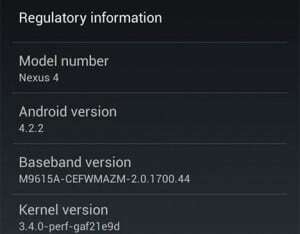 Just few days ago Google started updating the first Nexus devices with the latest Android version 4.2.2. Now the update has also hit the Nexus 4 and will probably arrive in most countries very soon. After analyzing the update, here’s what we can say it’s new in the Android 4.2.2. 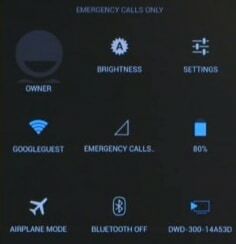 Android 4.2 brought in a new feature called quick settings that allows you to access certain features such as Airplane Mode, Bluetooth etc. Well, with Android 4.2.2 you can now long press on WLAN, Bluetooth or Airplane mode and this will instantly activate or deactivate the respective features. Usually when you download an app from Play Store, you can only see the blue progress bar in the notification panel. With Android 4.2.2 you will also see a remaining time notification and a percentage of the download. Google modified the notification sounds for low battery and full battery with new ones. The latest information tells s that Android 4.2.2 improves the battery life of the Nexus 7, as Google modified the product page for the Nexus 4 adding 2 more battery hours in the description. This is probably the most important change that comes with the update. If you are aware of other changes with Android 4.2.2, please feel free to share them with s in the comment section.